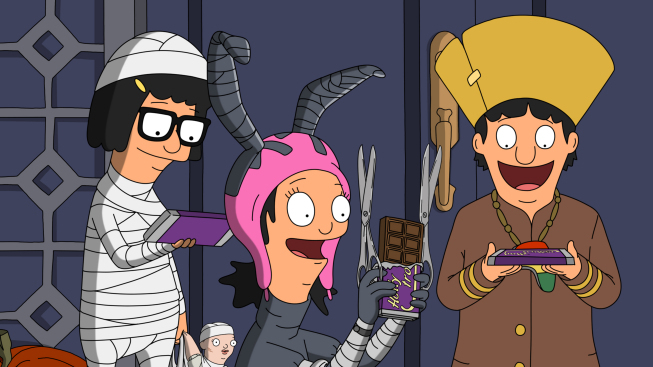 Full Bars, a Halloween-themed episode of Bob's Burgers (airdate: 10/7/13), opened with kids wearing costumes at school. In the background, shown at least three times, was a boy dressed as an Indian chief. Not a big deal, but not cool. Apparently Bob's Burgers didn't get the memo about stereotyping Indians. For more on Bob's Burgers, see Natural History Museum in Bob's Burgers and Navajo Mask in Bob's Burgers.